As part of this blog, I have been developing a theory that some of the same techniques used in sports psychology to train athletes to visualize their events could be used in the visualization of labor and birth. For more on this, see Research on Visualization. Other Visualizing Birth blog discussion with articles on this topic appear here and here. This recent New York Times article talks more about the history of visualization in sports. Imagery has had a strong impact on developments in most sports and Olympians are actively tapping into this technique to train body and mind as one. 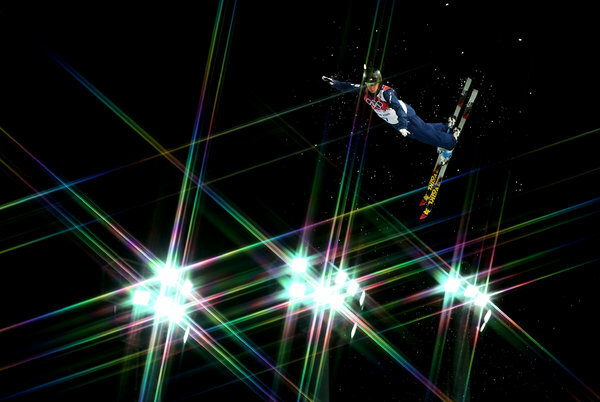 Emily Cook, of the United States freestyle ski team, visualizes each aerial jump as part of her training for the Olympics. KRASNAYA POLYANA, Russia — The Canadian bobsledder Lyndon Rush had not yet arrived in Sochi. But he was already on the Olympic sliding track as he sat in a chair in the Munich airport several days before the Winter Olympics, his eyes wide open but his mind’s eye far away as he traced a sinuous path through the air with his left hand. “I just went from 7 to 14,” Rush said, referring to the section of the track between Curve 7 and Curve 14. Visualization has long been a part of elite sports. Al Oerter, a four-time Olympic discus champion, and the tennis star Billie Jean King were among those using it in the 1960s. But the practice of mentally simulating competition has become increasingly sophisticated, essential and elaborate, spilling over into realms like imagining the content of news conferences or the view from the bus window on the way to the downhill. “The more an athlete can image the entire package, the better it’s going to be,” said Nicole Detling, a sports psychologist with the United States Olympic team. 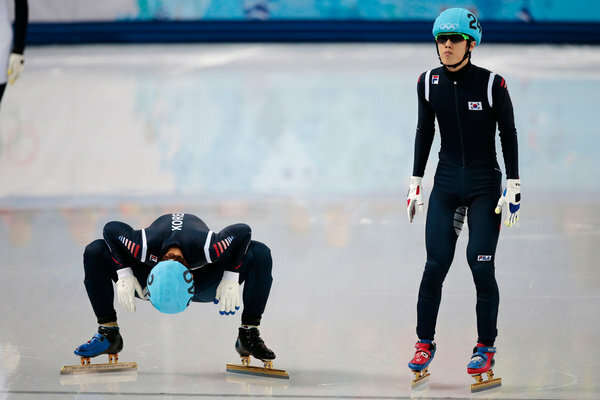 From mountain cluster to coastal cluster, from slope to speedskating oval, athletes are closing their eyes (or not) and seeing the near future. It is a vast parallel sporting universe of hope and occasional misery. The Winter Olympics are full of events that are contested in controlled, fairly predictable environments. Consider aerials and ski jumping. The wind or weather patterns may shift. The crowd noise may vary. But there is no direct competitor to change the dynamic, and in contrast to Alpine skiing events, no setting of gates to change the geometry. But the most predictable Olympic environment is the sliding track. 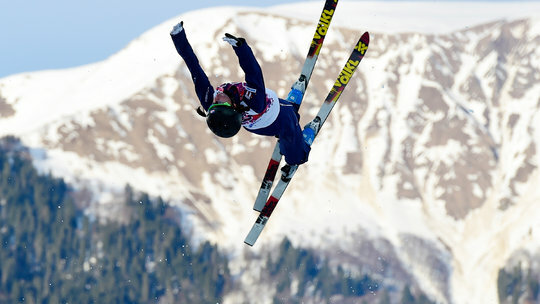 There are limited training runs during the Olympics, but Rush said that before competing, he had mentally driven the Sochi course hundreds of times from start house to finish. Leading Winter Olympic nations clearly agree. The Canadian team came to Sochi with eight sports psychologists. The Norwegians came with three, including Britt Tajet-Foxell, who has worked with the cross-country star Marit Bjorgen as well as dancers at the Royal Ballet in London. The French Olympic team, perhaps more inclined to self-analysis, came with none, according to one of its press officers, although its athletes do work with sports psychologists based at the national high-performance institute in Paris. The United States brought nine sports psychologists, including five for its ski and snowboard program. The psychologist Detling, an assistant professor at the University of Utah, worked with the aerialists here after working with the short-track speedskating team in 2010. Detling has collaborated with Cook since 2002, when Cook was recovering after a crash that left her with broken bones in both feet. Imagery has long been one of their focal points, and when Cook was in the midst of an injury layoff that lasted more than two years, she and Detling first used imagery to see and feel her bones heal. They also created imagery scripts, highly detailed written accounts of the competition process from “Point A to Point Z.” Each jump sequence lasts about 10 seconds but packs a great deal of action into that small window, particularly in the air with the flipping and spinning. But Cook broke it all down and then recorded the script. “I would say into the recorder: ‘I’m standing on the top of the hill. I can feel the wind on the back of my neck. I can hear the crowd,’ ” Cook said. “Kind of going through all those different senses and then actually going through what I wanted to do for the perfect jump. I turn down the in-run. I stand up. I engage my core. I look at the top of the jump. Cook then played the recording back as she relaxed, eyes closed, feeling her muscles firing in response. She said that such mental work helped her return to the sport a better jumper and that she also had used imagery to break the cycle of negativity. Whenever fear surfaced, she would picture herself pricking a big red balloon with a pin. Not all athletes have acquired the same faculty. Jacqueline Hernandez, an American Olympian in snowboard cross, said she had struggled with recurring images of crashing after she fractured an upper-arm bone and ended up with significant nerve damage. Several days later, Hernandez crashed during her first qualifying run on the Rosa Khutor course, briefly losing consciousness before being transported down the mountain, where she was treated for a concussion and released. Some sports are better suited to A-to-Z imagery than others. How does an athlete imagine a snowboard cross final or a short-track race, where the action is so dynamic and unpredictable? You do it by envisioning situations, Detling said. The Canadian bobsledder Rush, now 33, said he used to imagine himself driving a course by using his hands to simulate holding the steering ropes. But he now deploys only his left hand to simulate the path of the sled itself. Alpine skiers, including Lindsey Vonn of the United States, will use their hands to simulate the path of their skis. Other skiers thrust both hands forward, often while gripping poles shortly before the start, and see themselves skiing the course through their own eyes. This is called internal imagery. External imagery is seeing your race as if you are watching a video of yourself competing. Both methods are valid, Detling said. But technology and the advent of cameras that can be attached to a skier’s helmet and record a run from the skier’s perspective are changing the game. Video aids and video games are, for now, only out-of-competition tools. “When you are at the actual performance, you’ve got to be able to pull it from here,” Detling said, pointing to her head. Detling said research had shown that athletes who were adept at imaginary play as children — “imaginary friends, make believe, things like that” — were better at imagery. The consensus is also that experience helps, but Mikaela Shiffrin, the American 18-year-old skier, said she had already mentally simulated many aspects of her first trip to the Olympics and thus did not feel as much like a rookie. She certainly did not ski like one on Friday, when she won the slalom. She apparently has a gift for visualizing race courses, too. Shiffrin said she typically visualized a course twice: once after inspection and once shortly before her run. “Sometimes eyes closed, sometimes eyes open, but I’m always kind of zoned out,” Shiffrin said. Some Olympians, though, warn that too much projection can lead to paralysis by analysis. Still, even if a vast majority of athletes envision the perfect run and never achieve it, most find imagery both reassuring and empowering. At 34, she has become an expert who includes imagery in her daily routine and her competition routine. Watching her simulate jumps away from the jumping hill was an intense experience as she cast her eyes downward, moved her limbs with robotic precision and absorbed the imagined impact of the landings. When she finished a session that required only about two minutes to complete, she was flushed with the effort. Only then did she re-establish contact with the observers in the room.